important: chassis numbers are as reported by owners -- their appearance here does not guarantee authenticity. 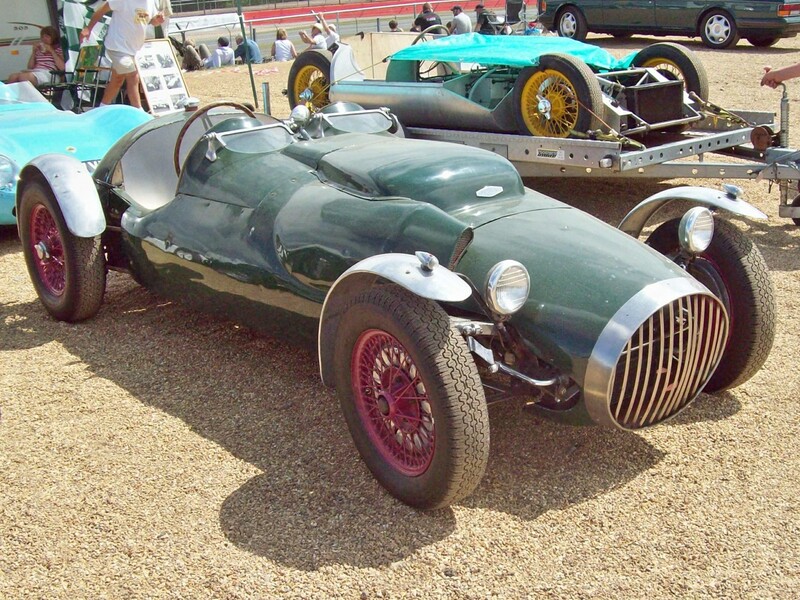 In Late 2001, SimpleSevens was in communication with Peter Ross, one of Colin Chapman's original volunteers, when Peter asked if I would like to present the story of the "Original" Lotus MKVII. Of course I said yes, and the result was the quite comprehensive write up found here: Clairmonte: The Forgotten Lotus. That write-up ends with Peter indicating that the car may be for sale, and suggesting that a band of interested parties throw in to buy and restore it properly as a very significant milestone in the early history of Lotus cars. 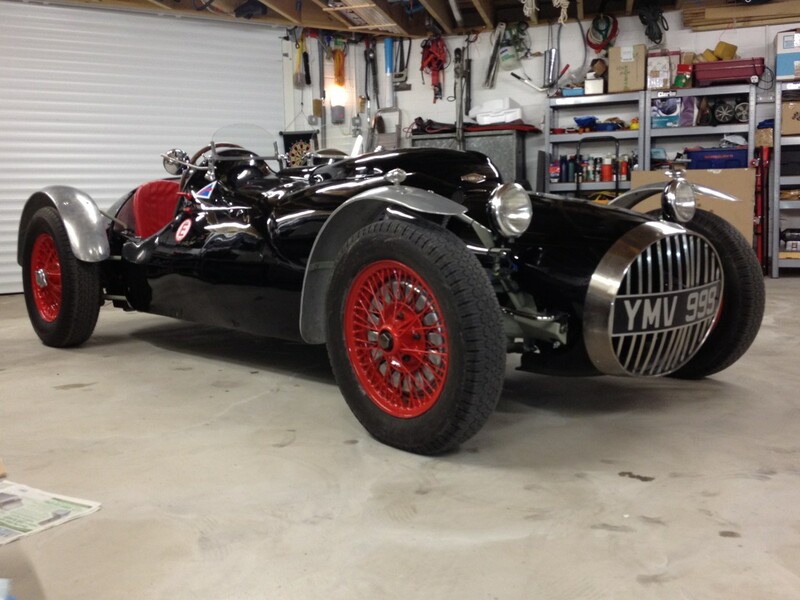 This historic sportscar is absolutely unique in the history of Lotus, having been specially constructed in 1952 for one of the Clairmonte brothers, who were manufacturers of metal baking tins for Hovis amongst other electro-plated items in London's Muswell Hill, Clive Clairmonte having commissioned marque founder Colin Chapman to produce a 2-litre Riley powered Formula 2 single seater for him to race at the 1953 British GP meeting at Silverstone. 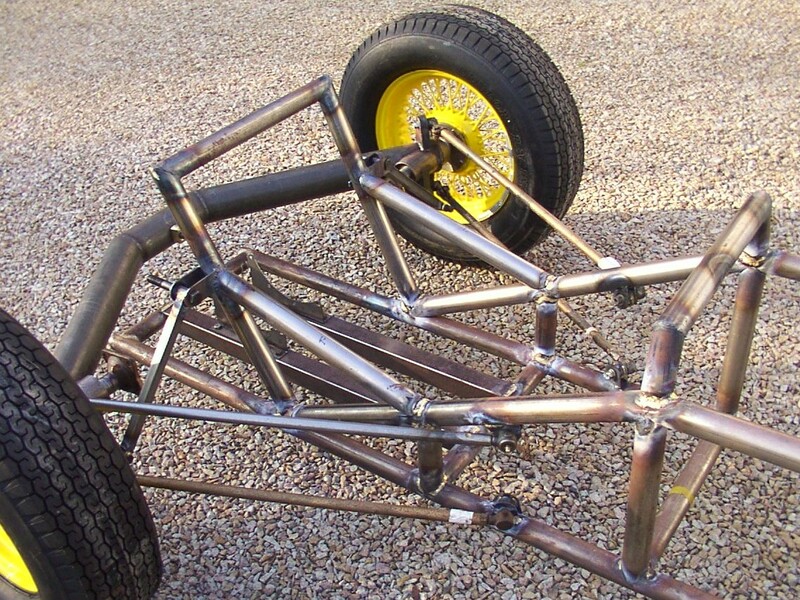 However, this ambitious plan had to be modified and, eventually, a 2-seater space frame chassis, designed and built by Chapman (with the likely assistance among others working at the then fledgling Lotus Engineering Company's first workshops in Tottenham Lane, Hornsey, of John Teychenne, Michael and Nigel Allen as well as Mike Madan) was to form the basis of the Clairmonte Special. With the Lotus VI sports already on the Chapman drawing board, the project was destined to be called the MkVII, although this identity was never actually allocated to the incomplete Lotus eventually supplied in chassis form to Clairmonte. 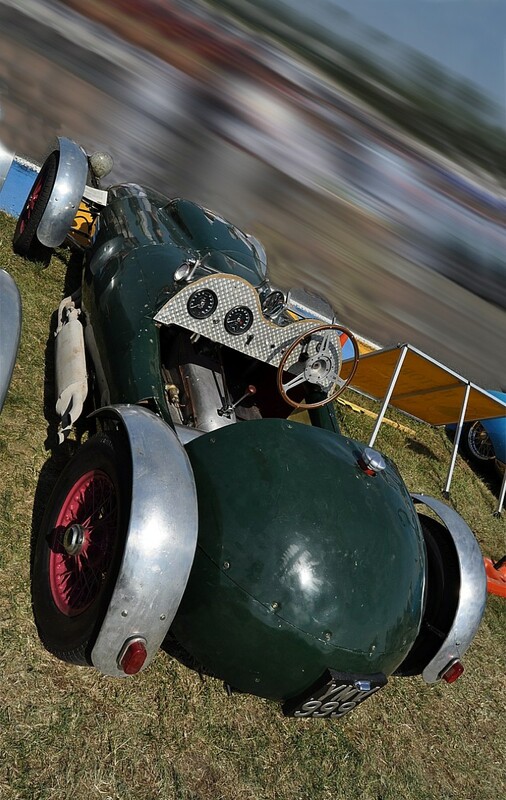 Subsequently, and by now powered by a 1 1/2-litre Lea Francis motor with pre-selector Wilson gearbox and cloaked in handsome Williams and Pritchard made aluminium bodywork, the Clairmonte Special was completed elsewhere and - with chassis number C/S 1 displayed - was first registered 1 May 1953 with YMV 999 registration. 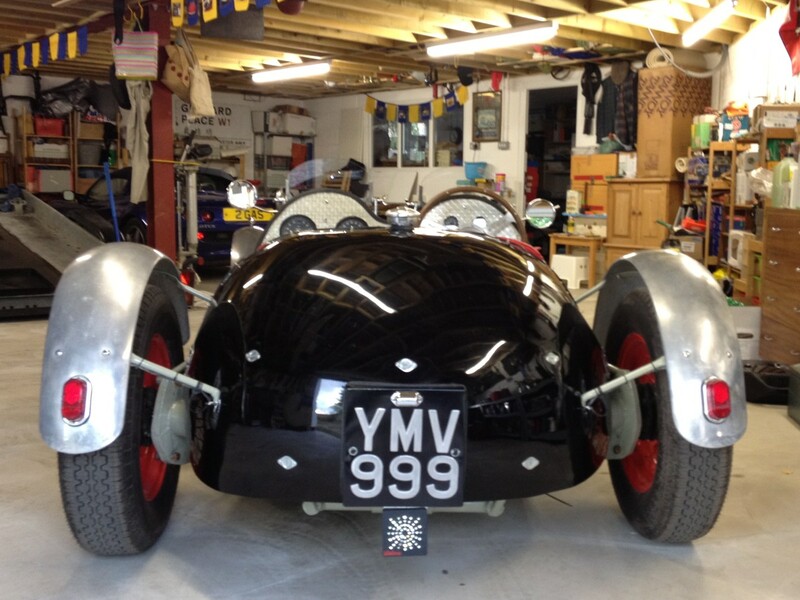 In the car's very first race, during the 27 June Midland Motoring Enthusiast's Club meeting at Silverstone, Clive Clairmonte drove the car to a second place in the 1500cc sportscar event behind Peter Gammon in his rapid MG special. The new car attracted the attention of Autosport who published a photo in their 3 July issue with the caption "Neat Newcomer". In the 1 August West Essex Car Club's Sports Handicap race at Snetterton, the Clairmonte won beating Phil Desoutter's Lotus VI. On the way to finishing second in the 1500 Sports Handicap, it clocked up the fastest lap at 76.90mph. 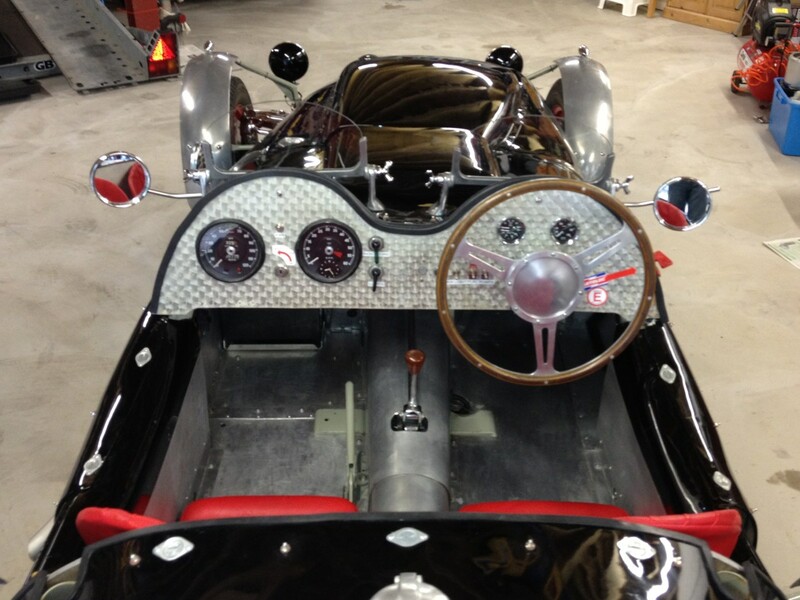 Whilst in the 1500 Sportscar Scratch race, it won and went even faster with a 77.27mph lap. Two firsts and a second in one day! Indeed, over the next two seasons, car and owner went on to amass over thirty awards - one of them when a friend, a Miss D Naismith, won the 1101-1500cc class at the 5 September 1953 Brighton Speed Trials. 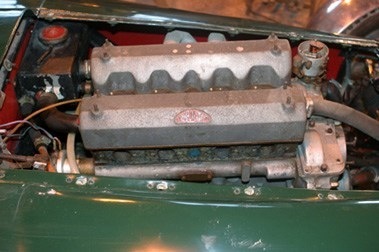 The original Lea Francis power unit was later replaced by a 2-litre Lea Francis based Connaught engine and the pre-selector transmission with a David Brown gearbox. 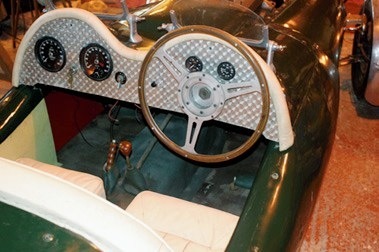 As confirmed by a letter, a copy of which is in the history file, distinguished Lotus authority and engineer Charles E Hunter inspected the car 24 July 1990 noted the presence of several unique design features. 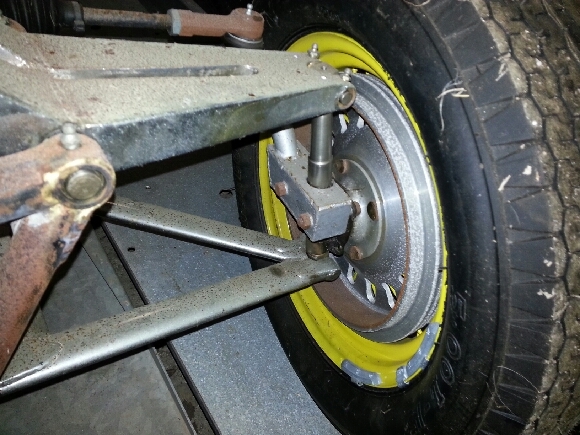 In particular, he drew readers attention to the inboard front coil springs and dampers, the forerunner of suspension systems used in later Lotus Formula 1 race winning cars and many of today's F1s. 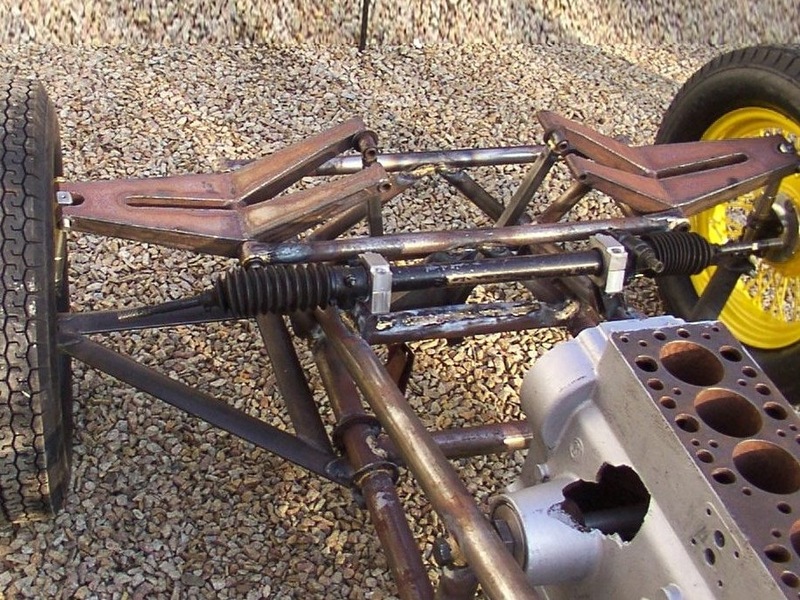 The independent front suspension top wishbones are welded from sheet steel to form box-sections, centrally pivoted on the chassis, and the lower wishbones are of aerofoil-section. 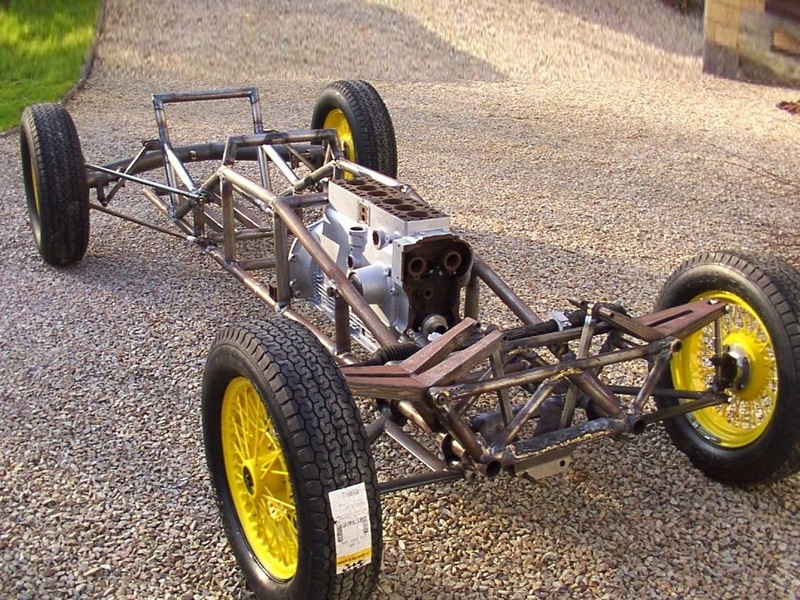 Also technically interesting is the rear suspension as it forms the design basis refined in later Lotus cars of the 1954/55 era, De Dion rear ends being fitted by Chapman to his VIII, IX, X and XI models, whilst De Dion technology was employed by Vanwall for the first British car to win a World Championship. The Claimonte's De Dion, made from heavy gauge tubing, carries at its extremities flanged hub shafts in bearings. 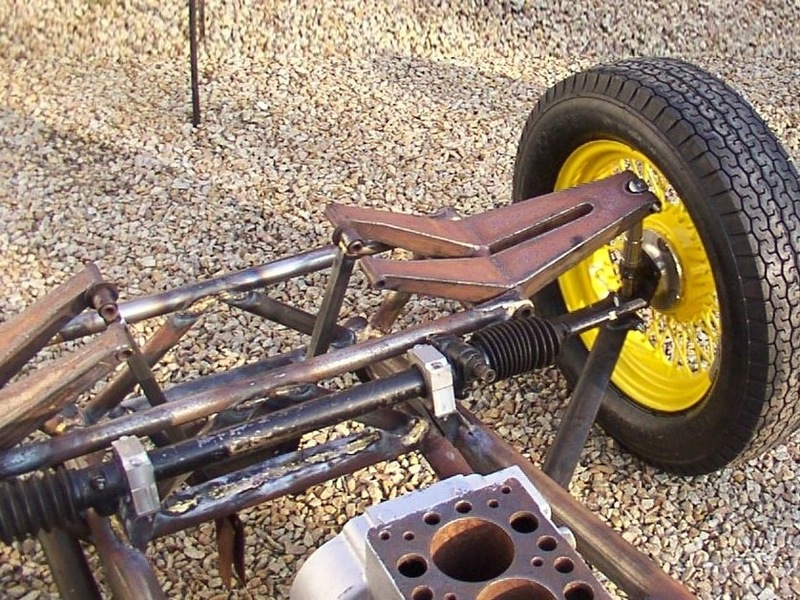 The tube is located at the rear centre by a pivoted brass block sliding vertically in a chassis-mounted steel channel (as also used, in fact, on the Lotus MkX NOY I). 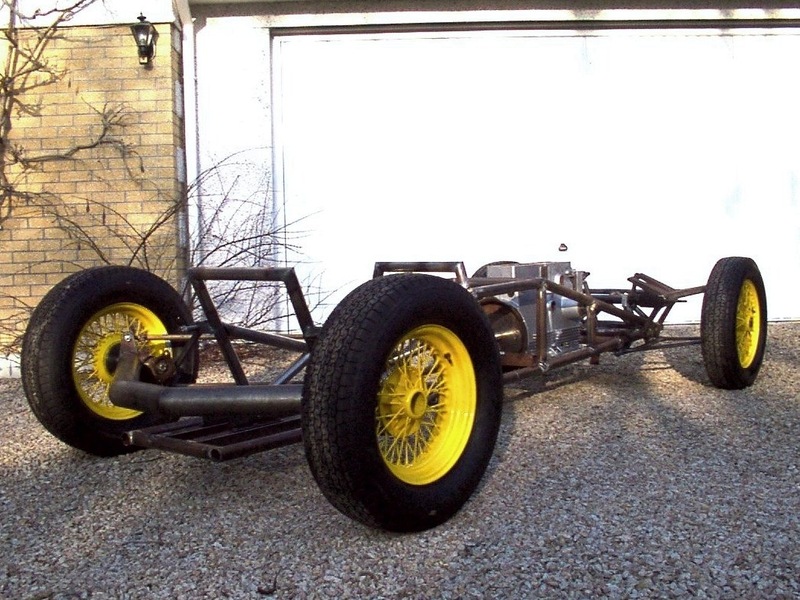 The De Dion is located by two radius arms per side. 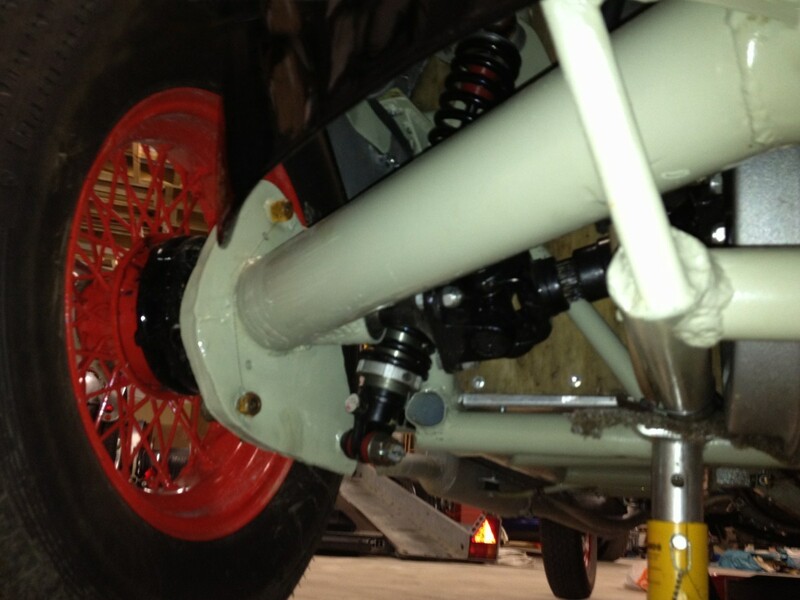 There are sliding spline driveshafts with Hardy Spicer universal joints, coil springs around the dampers, while three chassis mounting points for each damper top allow rear ride height to be altered. 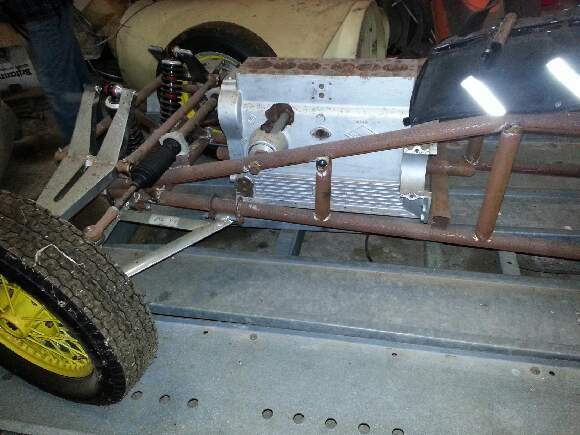 Happily, the original chassis-mounted Hallibrand alloy-cased final drive survives. Designed for Indianapolis, with input shaft from the gearbox at the bottom of the casing, the rear of the casing removes to expose a pair of straight-cut gears, mounted on an input shaft and on a pinion. Ingeniously and simply, gears can be interchanged top to bottom to alter the final drive ratio. 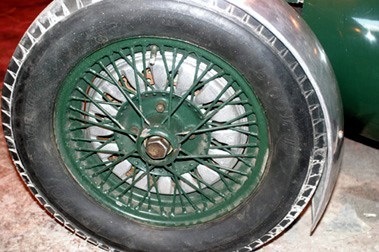 The front brakes are 11in Alfin hydraulic twin leading shoe with drum faces cut to recess the wheel spokes into the alloy drum, while the rears are inboard hydraulic drum from the Austin A90. 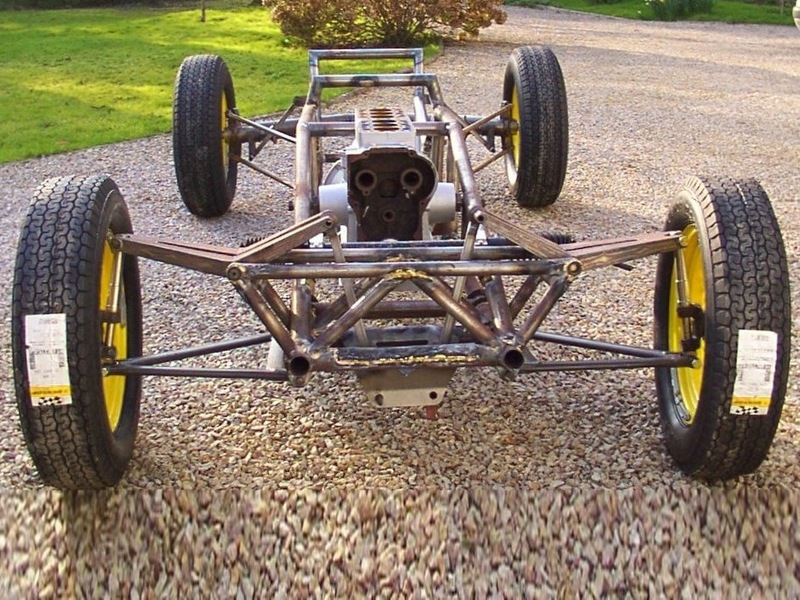 Hunter's very detailed inspection of 1990 confirmed that the Clairmonte with Lotus chassis was generally as it was first manufactured, later additions to the original specification only having been made to maintain the car's competitiveness, which has always been normal and acceptable practice throughout motor sport history. We understand from the present owner that following acquisition in distressed state in 1973 it was fully restored. 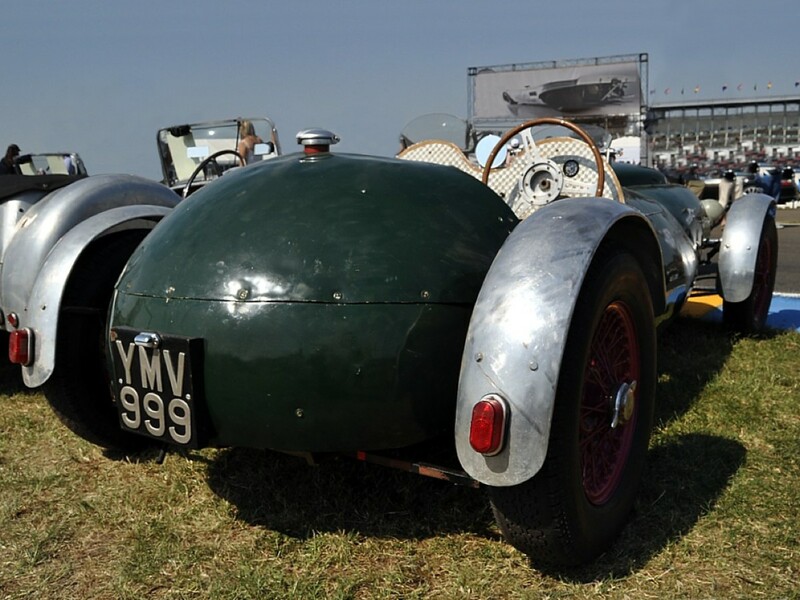 However, as much of the original bodywork was retained as possible, the main exception being the rear square box-section tail and fin, which was replaced with much more rounded alloy panelwork. Since this refurbishment, he tells us that this exceptional rarity has only been exposed to one hillclimb before being consigned to the garage from which it has been directly consigned for this sale. Current condition of open sports bodywork is described as good, the BRG paintwork quite good and the cream interior good. 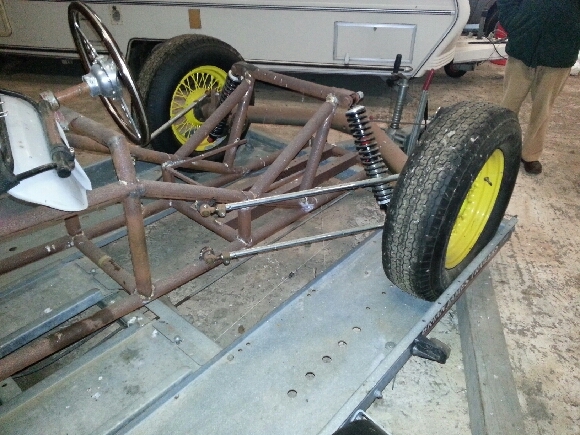 The 2-litre motor fitted is claimed to be complete, though is not currently running. However, the 4-speed manual box is reportedly in good order. Mentioned in a number of motor sport books, this famous racer would make an extremely desirable addition to any Lotus collector's cache, taking its important place, as it does, in the very early history of the marque and providing unrepeatable proof of the engineering talents of Lotus creator Colin Chapman. Included with the car are parts to enable four different final drive ratio changes to be made to the diff as well as two cylinder heads; one in cast iron with single spark plug per cylinder; the other in alloy with twin plugs per cylinder and large valves. 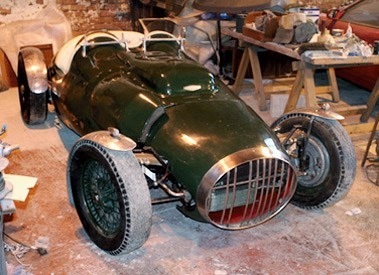 Peter Ross did realize the beginning of his pipedream -- to restore the original Clairmonte, and begin construction of the replica single seat car as originally envisioned by Colin Chapman... He banded with another interested party and won the action. Peter had a hard time convincing anyone else that his was a worthwhile endeavor, until he had a chat with the fellow who had purchased a replica Lotus MKIII. David Harvey came on board the project, entering into an agreement with Peter about who would invest what, and who would own what when completed. 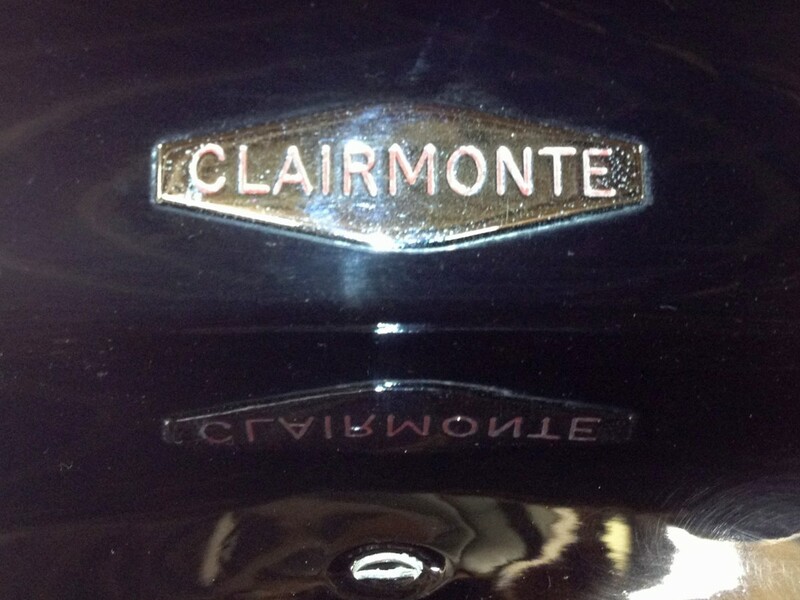 "The Clairmonte was purchased in partnership with Peter and myself. 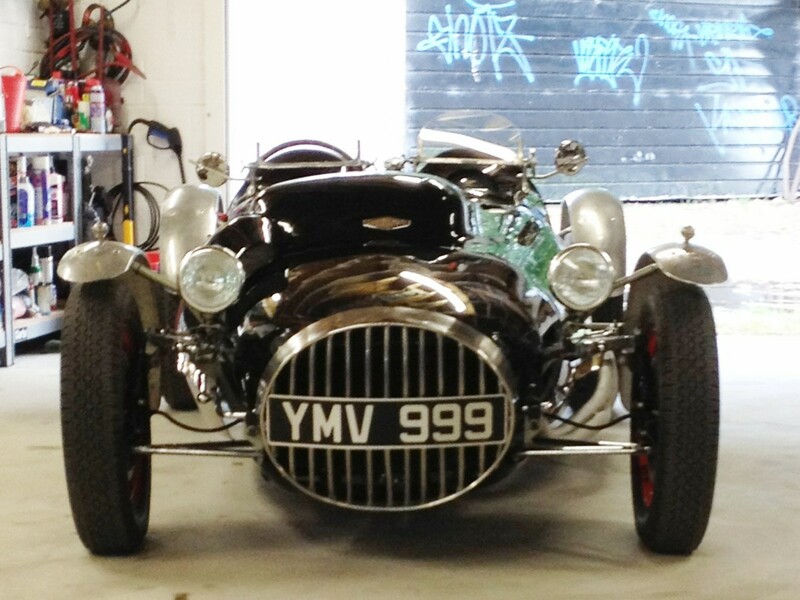 Peter did get to drive it a couple of times on the road after it had had it's first engine restoration. 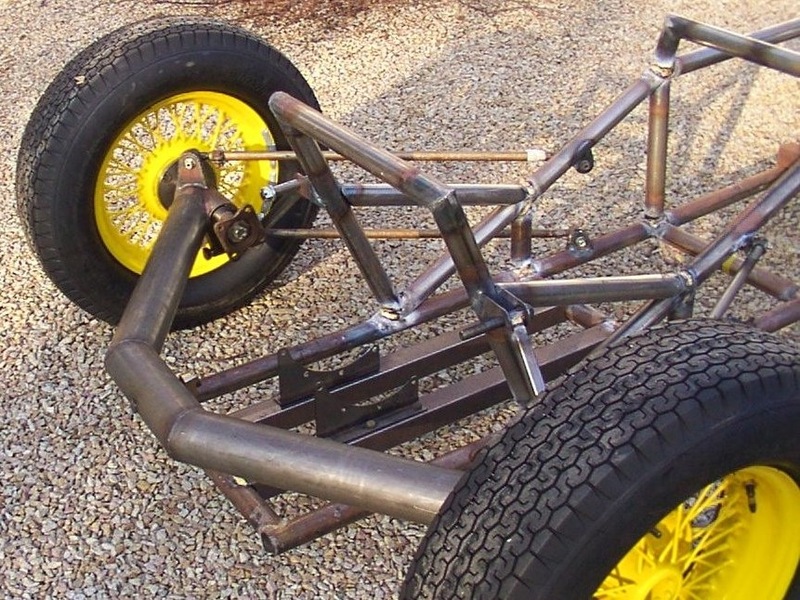 We had got as far as building a rolling single seater chassis, with another planned. 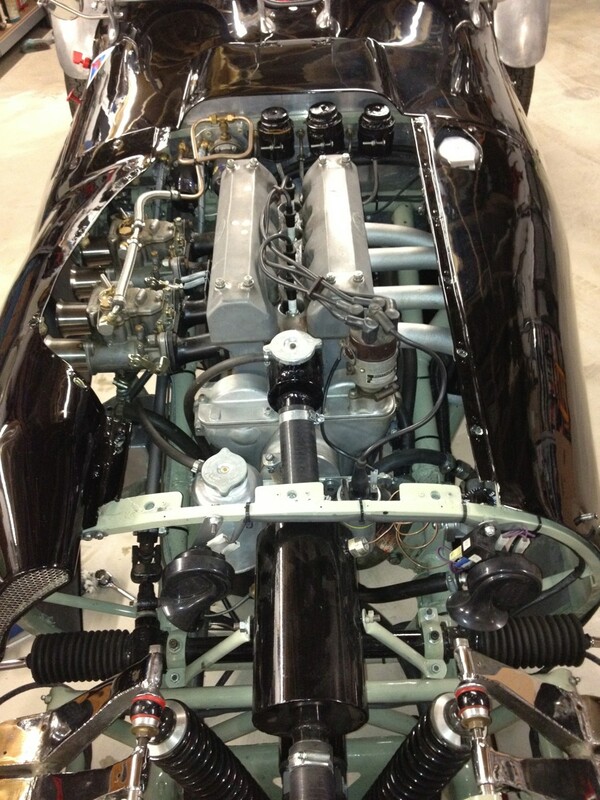 We purchased a couple of Riley 6/14s engine blocks (6/15s are virtually unobtainable). Peter did dismantle the Clairmonte to take relevant measurements etc. 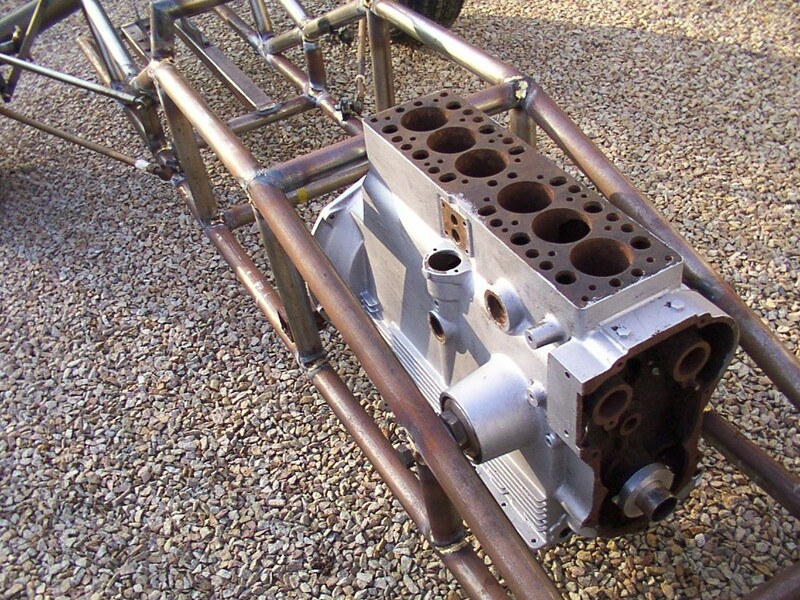 The original single seater as planned should have a 6/15 2000 litre racing engine but this blew up and as a two seater it was fitted with a Lea Francis 1500. 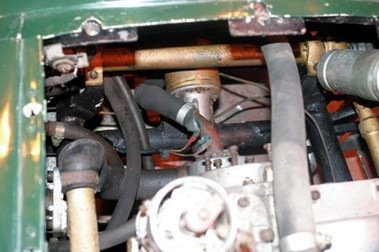 A year later the current Lea Francis Turner 2000 was fitted. 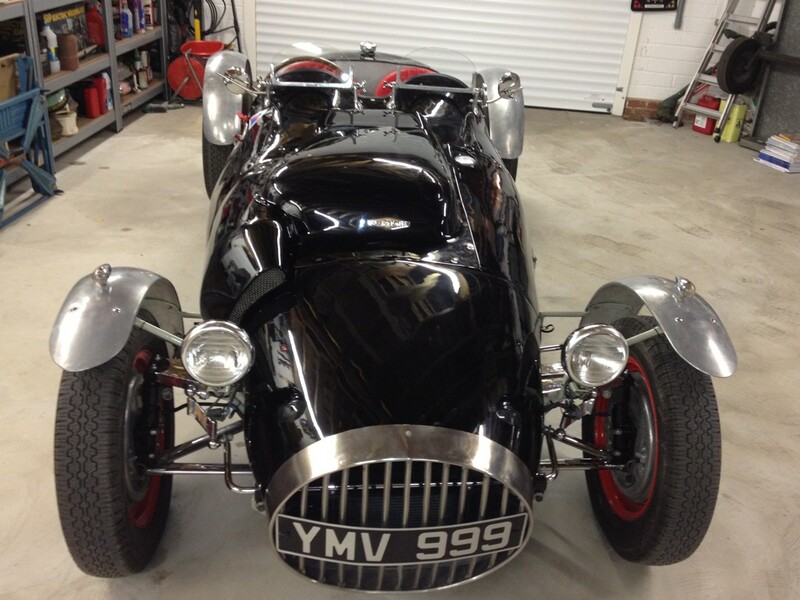 The front is original after the nose was cut back to improve cooling, a power bulge for the taller Lea Francis Turner engine, and various changes on the carburettor side. The back [of the body] had rotted off and the present was commissioned by the previous owner, presumably the instrumentation as well. Peter essentially had the time and I had contributed the practically all the expenses after the initial split purchase. 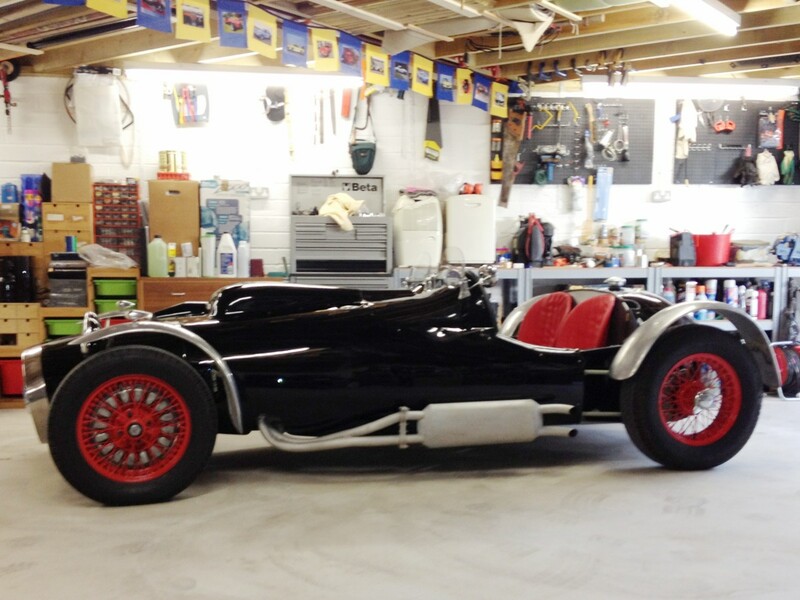 In 2011 we settled up with myself owning the Clairmonte and a 1/2 share in the second replica (bits of engine and a ladder frame) and Peter owning the single seater replica." I have been concentrating on making the Lotus Mark VII replica because I have needed the dismantled Clairmonte as a template! On 20th February I at last got it on its wheels with the slave Riley Cylinder block in position. 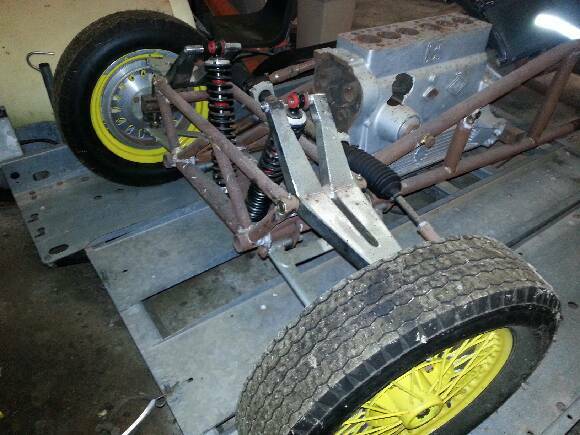 No gearbox or springs. Here are some photographs [below]. I will soon have the final drive unit to add, and will then be able to fit the seat. Once I have done this I will start to re-assemble the Clairmonte. The de Dion tube has been restored and stove enamelled in light battleship grey, and the first job after that is to send all the parts off that need to be chrome plated (or re-chrome plated). Then I have to make the missing pedals. 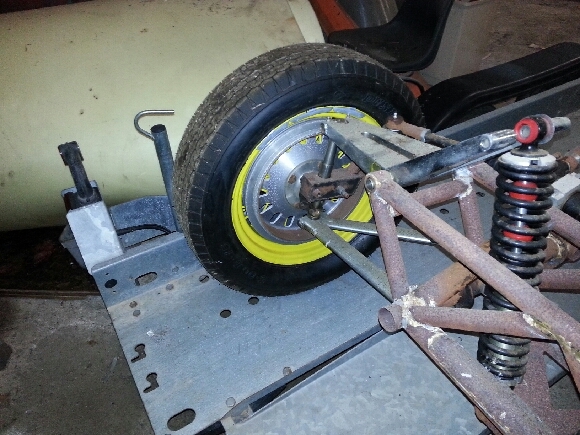 The Clairmonte chassis has gone off to be blasted of its horrid black paint, and I will keep it in primer whilst adding any brackets that are needed. It will finally be stove enamelled light battleship grey. The engine is being overhauled by Beaufort Services and is nearly finished, so I must get a move on! The wheels have been stove enamelled red. By October 2011, sufficient work had been done to bring the car to a dependable driving condition, and David drove it once or twice before winter weather set in. He was out of the country then until May of 2012, and he took the car to Classic Lemans with the Historic Lotus Register. 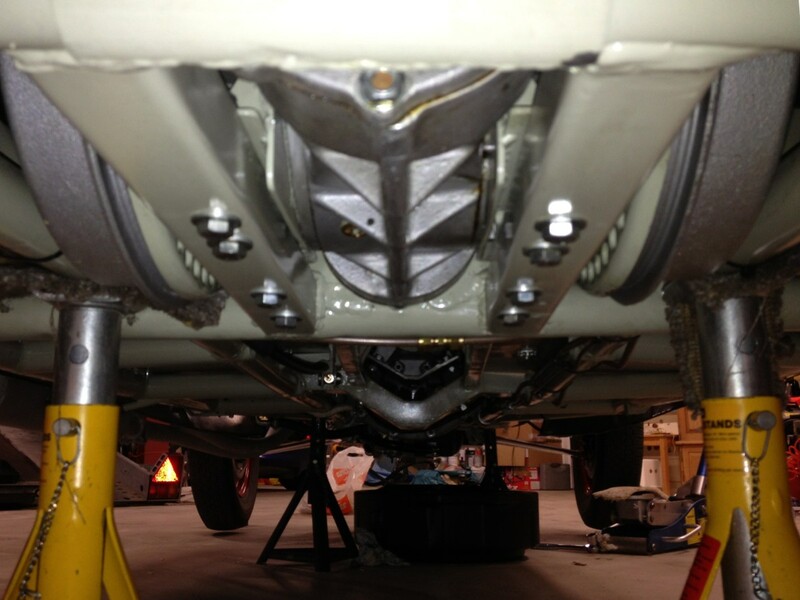 David reported that "the alternator was not charging and there is no mechanical fan, so I am on a Kenlow. I took the alternator to an old fashioned guy, who stated that he had in 40 years never seen one like it but thought it was probably German. He rewound it and put new bearings in. 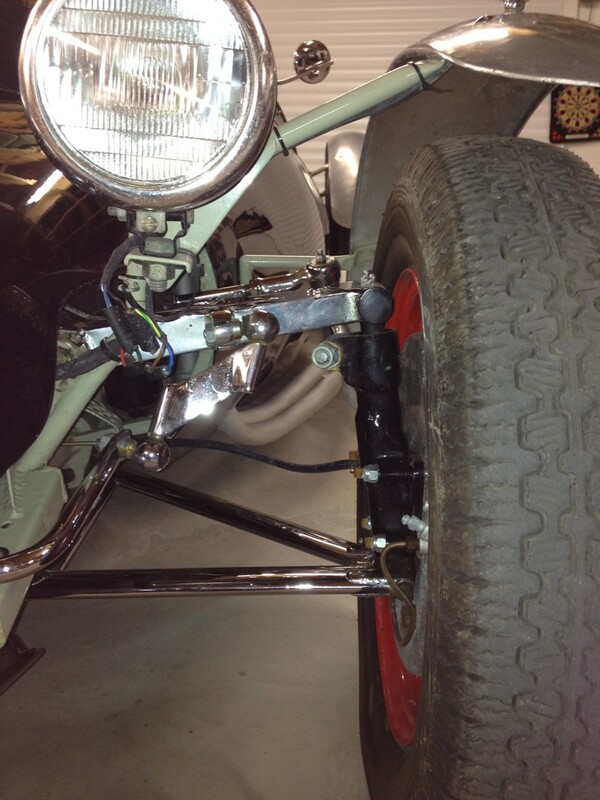 Also I had to purchase a Volkswagon Regulator to go with it, and it works fine now. The car is not yet run in and I have not not found any suitable roads around Kingston upon Thames. Also I have not yet had the time to go over every nut and bolt. It leaks like a sieve from the rear crankshaft bearing so have to drain the oil every to time!" In December of 2012, Peter Ross passed away. He had seen the Clairmonte restored to the condition shown below. 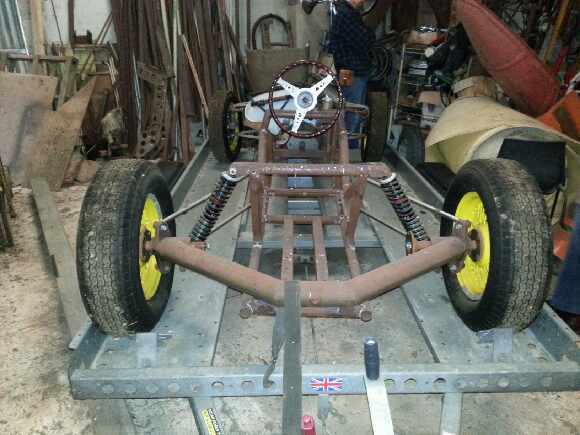 Peter's further dream of completing a replica of the car as Colin had originally envisioned it has reached the state shown in the photos below. The current (Spring 2013) edition of Historic Lotus Register magazine lists the project for sale at the cost of current investment. 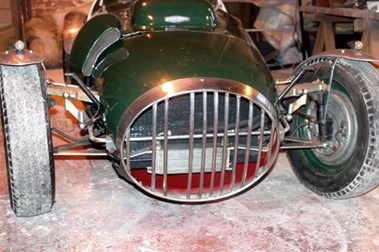 David says "Ideally, the replica will sell to someone who might see it to completion. 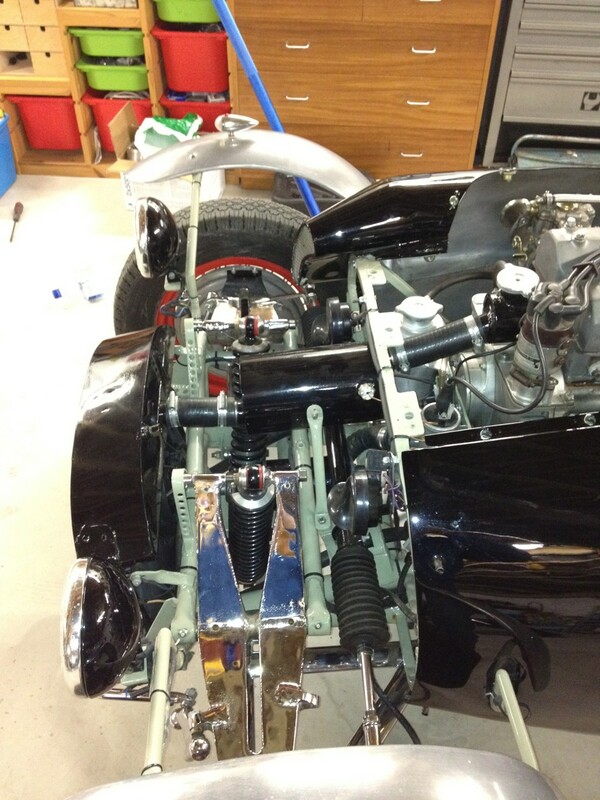 Included is a part finished Riley 6/14 engine and a Halibrand differential also to be fitted. The following pictures have been sent by Gary Aldington a local Garage mechanic who Peter had a good working relationship with. 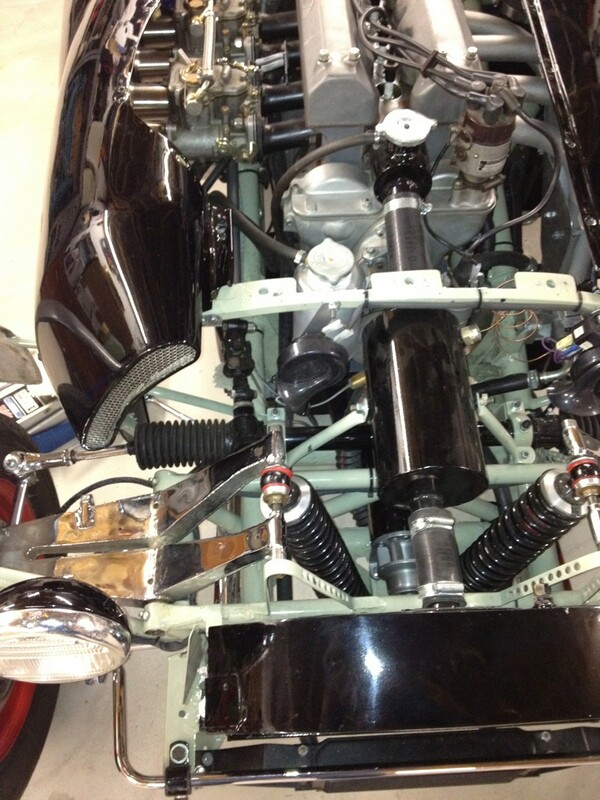 The engine block shown is a 6/15 and shows the final lower and forward engine mounting. The higher rear one was the original. However the block was too far back and with a gerabox fitted did not leave space for the feet. 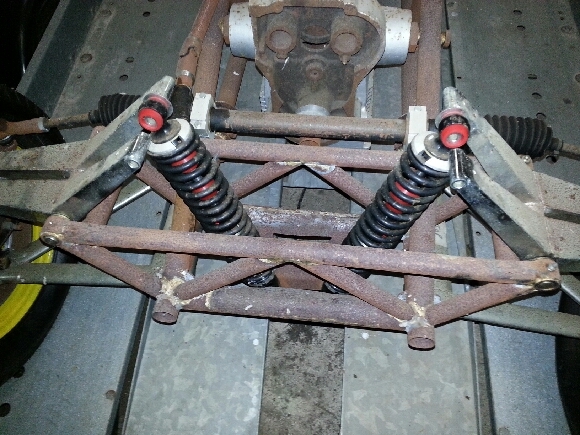 The original lower cross brace had to be removed and moved forward. All of this is present on the Clairmonte (although of course this is fitted with a 2 litre Lea Francis Turner Engine from 1954)."